It’s not well-known outside the fire service, but there’s a suicide crisis among firefighters. We’re now to the point that there are more suicides each year than line–of-duty deaths. In 2016, 89 firefighters were killed in the line of duty. 130 committed suicide. The trend has been growing for several years now. A 2015 survey of more than 4,000 first responders found that 6.6 percent had attempted suicide. That’s more than 10 times the rate in the general population. What is driving this trend? And what can we do to stop it? Dena Ali offers some advice in this episode. 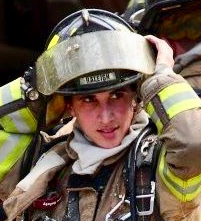 Dena is a captain in the Raleigh North Carolina Fire Department. She’s been there for 10 years. Before that, she was a police officer. She is a graduate student at the University of North Carolina, where she’s focusing on firefighter suicide. FireRescue1 article: Can we halt firefighter suicides? Who invented the fire hydrant and when? Frederick Graff, the Chief Engineer of the Philadelphia Water Works, is credited patenting the first modern fire hydrant in 1801.